My pleasure, I was thrilled when I found the clean texture! And you continue to be the best :) thank you kindly for converting/sharing ! Thank you so much for the s22cdb, it's helped me out so much. If you know of anything else that's missing I'd be happy to give it a shot. I could swear I've seen a functional trunk somewhere for TS2, probably a wardrobe type item. I'll keep an eye out for it as I surf! I am so excited about this download! 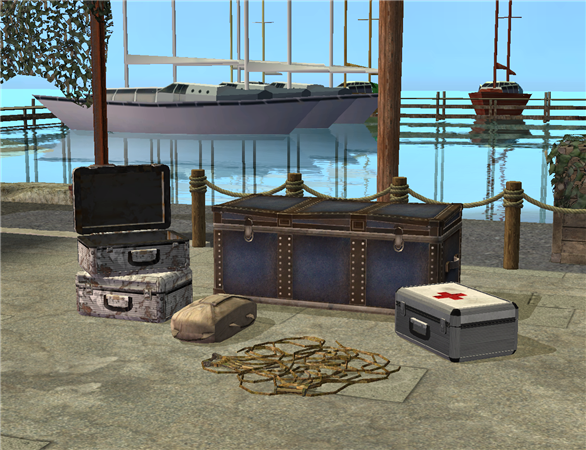 I love Castaway objects for the Sims 2 I have a box account but I am having difficulty downloading. I've tried a couple of computers I was wondering if there was anyway you could upload some place in addition or find a way to send it? Like I said I'm really excited and really want to have it in my game. Any help would be greatly appreciated.